Our food is freshly prepared. 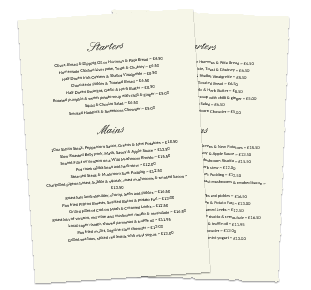 We offer daily specials and change our menu on a regular basis. 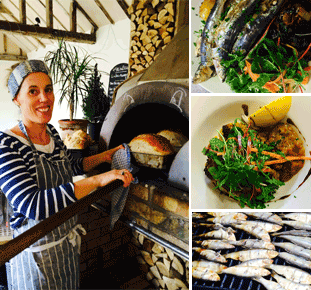 We also have a wood fire pizza oven and a hog roasting service, browse for details. The best way to ensure you get a table is to call us 01728 723 455. We may be too busy serving customers to answer, but we’ll see if you leave a message, and we check the answerphone several times a day. Don’t forget to leave a contact number, so we can confirm your booking.